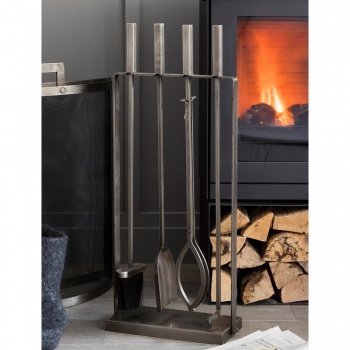 With its striking antique pewter finish the Lodge Fireside Tool Set is a wonderful choice for any fireside. 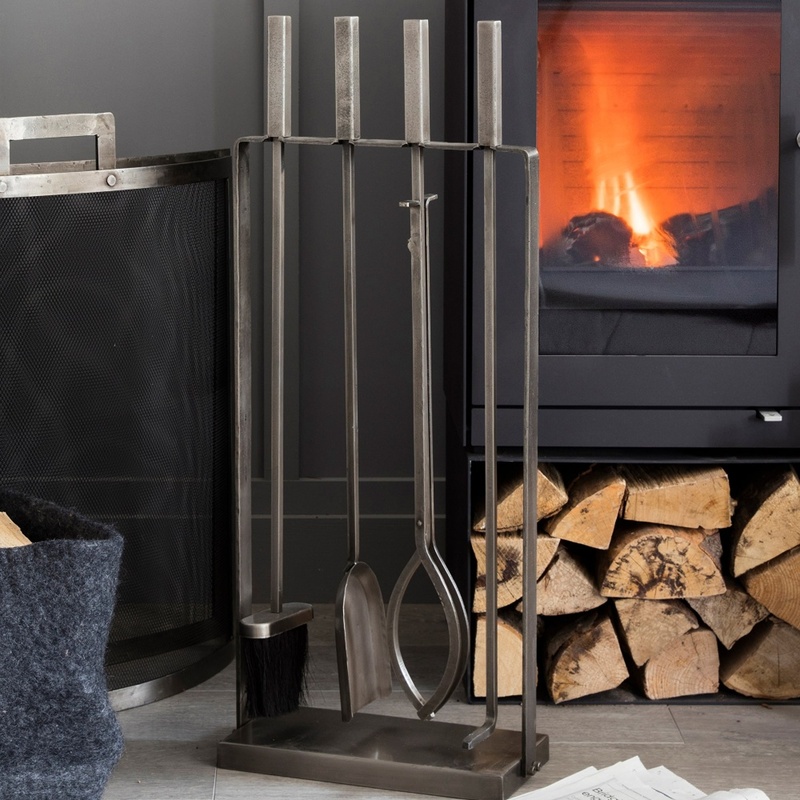 Featuring four tools, the Dustpan, Brush, Log Grabber and Poker, it provides everything needed to tend to the fire. 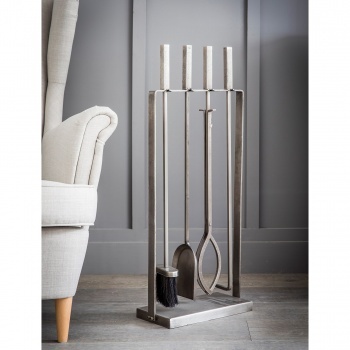 Crafted in Steel, the antique pewter finish has been electroplated, giving a more contemporary appearance to this classic style. 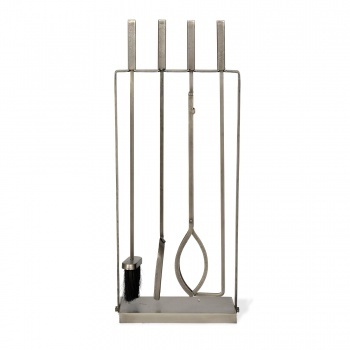 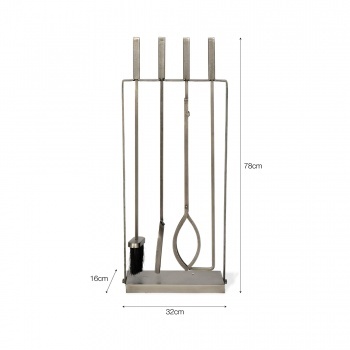 The tall stand includes a hanging slot for each tool, ensuring they're kept neat and tidy until their next use. 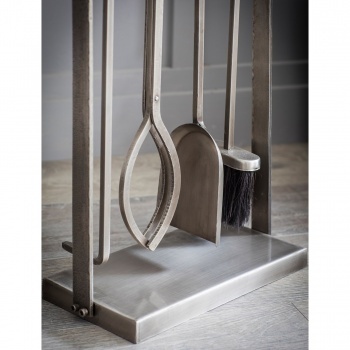 The arched Dustpan and square Brush include long handles and the Log Grabber has a moveable handle that can pick up even the largest of freshly cut logs. With its sleek stem the Poker will aid the user in moving logs into place to keep the fire going all evening.